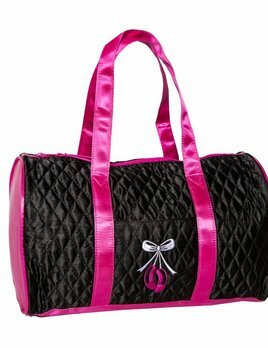 This black quilted tote is perfect for a young ballerina! Outside pocket is decorated with embroidered ballet slippers. Inside has a zippered pocket. End panels and handles are beautiful bright pink satin to add pizazz! !